Kaminoda Sensei, Isshin Ryu Kusarigamajutsu. Courtesy JFQ. 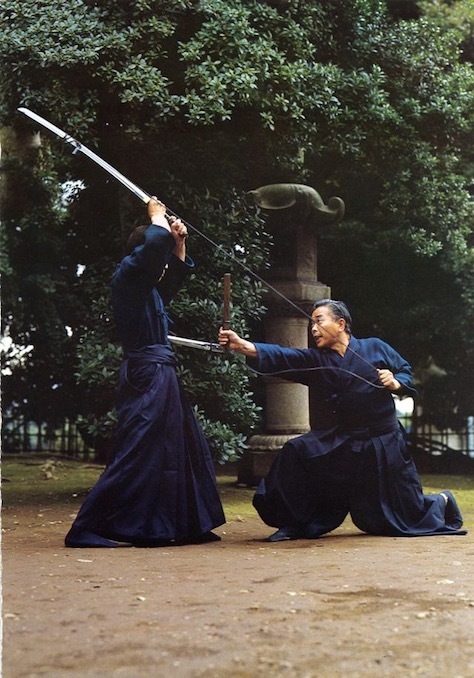 Kaminoda Tsunemori Sensei (1927-2015) was Menkyo Kaiden, Hachidan Hanshi in Shindo Muso Ryu and Muso Shinden Ryu. 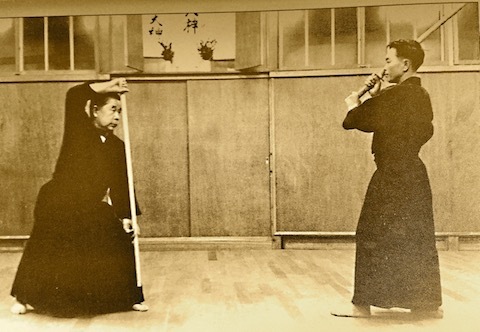 The youngest of five Menkyo Kaiden who were police weapons instructors under Shimizu Takaji Sensei, he trained every day in jo for over 60 years. 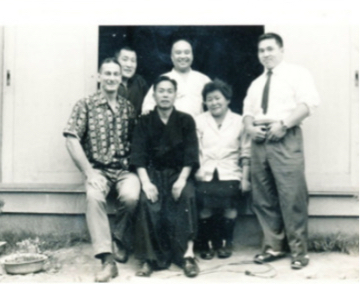 Sensei served as secretary to Shimizu Sensei for a period of time; Kuroda Ichitaro was his mentor; Donn Draeger, the American who opened the door for all of us to study koryu weapons arts in Japan, was his close friend. Draeger right. Kaminoda center in hakama. Kuroda Ichitaro center, back row. Photo from Chic Eather ’s fantastic web page. Several of the senior members of the group have received oku iri sho or moku roku from Kaminoda Sensei. Dan Pearson received Menkyo from Sensei. Dan Pearson and Sensei, Kyoto, 2010. Kaminoda Sensei was an extraordinary teacher and a great inspiration. His legacy lives on in the form of excellent students around the world and some of the strongest jodoka in Japan. We can never repay all the gifts he shared.